Dumbalk 28th July 2018 (combine #11) – Leongatha Cycling Club Inc. The club held a Gippsland combine on Saturday racing from Dumbalk to Boolarra Sth and return. This meant the riders had to race around 50km which included the 2km climb from Mirboo up to the cross roads at Limonite. Fortunately the riders had a great sunny winter afternoon for the racing. Will Lumby maintained his good recent form winning the A grade race with a late break up the hill into Dumbalk and the downhill finish. His powerful finish allowed him to drop the other 2 riders from the breakaway and win easily. Daniel Furmston (Latrobe Valley) was second with Oliver McLean in 3rd. Conor Bagot led home the rest of the field in 4th, Brett Franklin 5th, Leigh Stott 6th and Tex Walker (Warragul) 7th. The B grade field of 4 riders managed to stay together even on the uphill run to the turn. The run back to Dumbalk has only the small climb out of Mirboo to test the riders so it was a compact group that arrived for the sprint finish. Peter McDonald (Latrobe) claimed the win from Syd Jackson, Mark Mason (Latrobe) and Kevin Feely in 4th. It was a similar situation in the C grade group. The quartet of riders all arrived at the turn in a bunch with Kara Landells working hard to go with the others on the climb. However, the fast downhill descent from Limonite to Mirboo had her worried and leaving a chase up the hill out of Mirboo. By the time the riders reached Dumbalk it was Peter McLean and Rod Cheyne with a small break who contested the sprint with Peter claiming the win ahead of Rod. 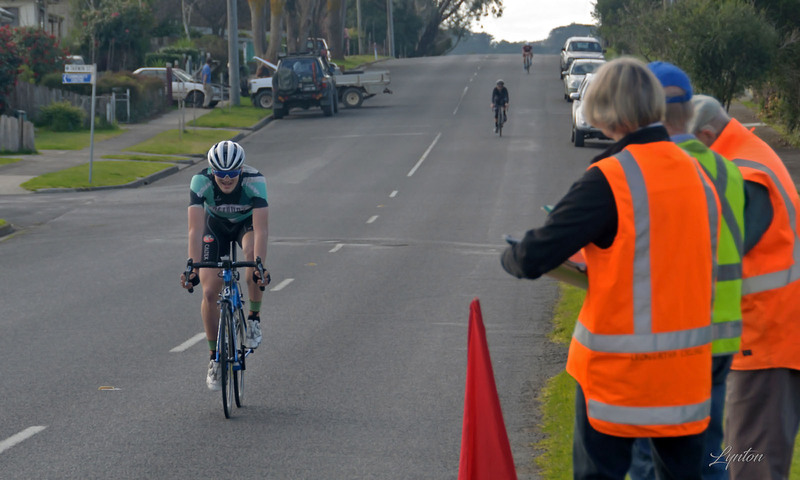 Next home was Kara in 3rd and a further gap to John Taylor of Warragul. Next week the riders have another combine at Willow Grove whilst the State junior road titles are at Wangaratta. Oliver McLean will be hoping he has a better weekend for the titles than track season when illness struck and put him out of competition. Riders are reminded that Sunday August 19 the club has a Cyclocross race day at Coal Creek village starting at 11.00am. This is a new event for the club so we look to all the members to get involved and make this a great day.